We are delighted to introduce our new programme of millinery courses at Hat Works, the UK’s only museum dedicated to the hatting industry, hats and headwear! Hat Works a great place to learn hat-making skills! Our courses are delivered by a team of millinery experts and cater for absolute beginners as well as those who have attended one or two classes already. If you already have the basics, you may be interested in our open blocking days where you can use Hat Works’ hat blocks. This is a great place to practice what you have learned on a course. We recommend that you book on to these workshops in advance as places are limited and they are likely to fill up quickly. To book your courses contact Hat Works on: 0161 474 2399 or e-mail Hat Works. Lorna Young developed her love of millinery through attending millinery classes at the London College of Fashion. Over the past 15 years she has designed and created bespoke hats for sale. Lorna currently works at Hat Works and shares her knowledge and skills with all age groups through a wide variety of design and millinery education programs. Marie Thornton is a renowned practising milliner. She has exhibited widely and her work is currently on display in the Making Headway exhibition at Hat Works. Her work was also featured in Spectacular Hats at Castle Howard in 2013. 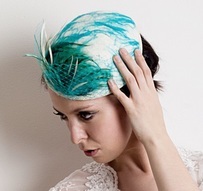 Sue Carter has over 10 years’ experience as a milliner producing hats for all occasions. Sue has won Medals of Excellence from the City & Guilds for her work and has been awarded prizes from the Worshipful Company of Feltmakers and Skills Challenge UK. She exhibits her work in the UK and abroad. Sue’s work is also featured in the current making Headway exhibition at Hat Works. Sue and Marie have a wealth of teaching experience between them and have taught millinery at Leeds College of Art.